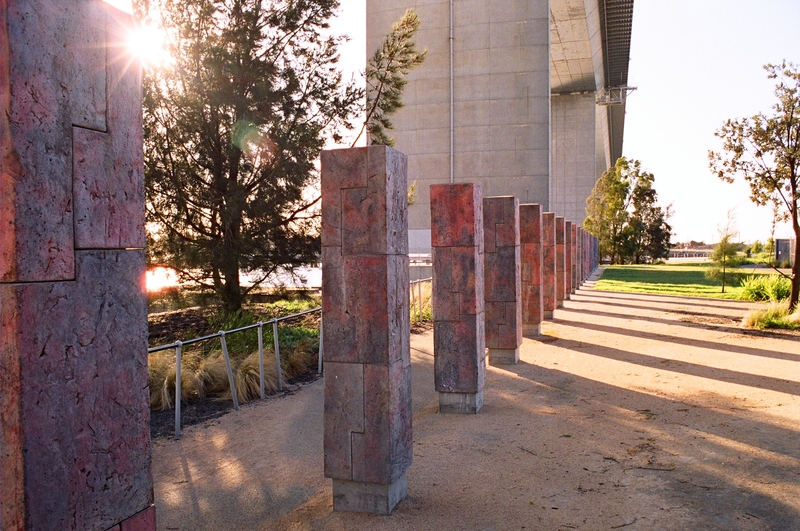 In 2004 I was commissioned to make a memorial to the 35 workers tragically killed in the collapse of the West Gate Bridge during its construction. I created a minimalist row of 35 unnamed columns. 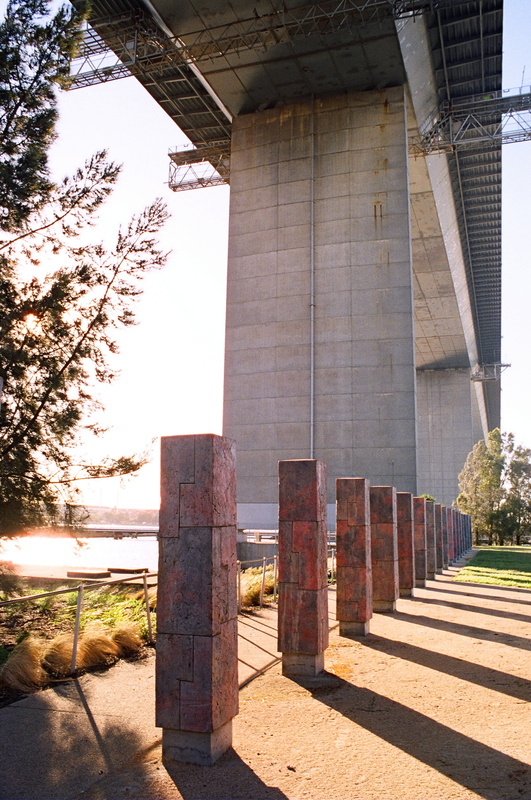 The row is 100 metres long and aligns itself directly under the edge of where the span fell. The actual ground where the span fell has been restored but remains a ‘no go’ area. As one moves along the row the experience is relentless. 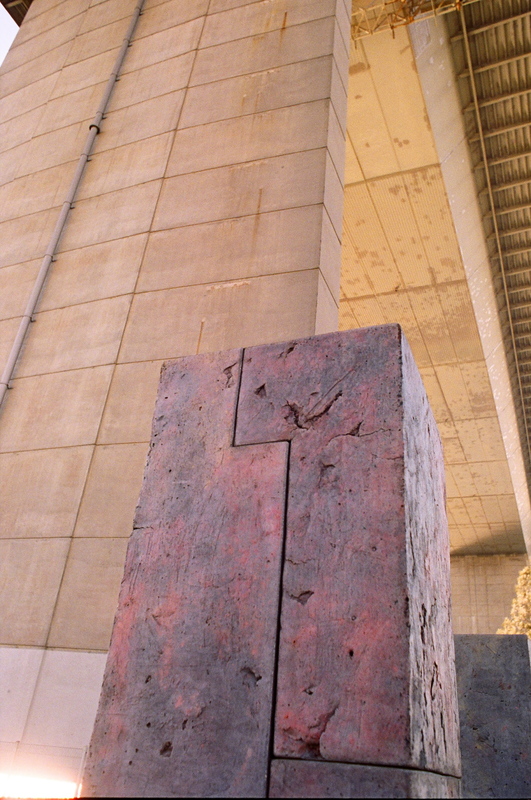 The mute concrete sculptures are materially strong and echo the materials and ambience of this space. The constant clatter of cars on the freeway above create a bleak sobering atmosphere. 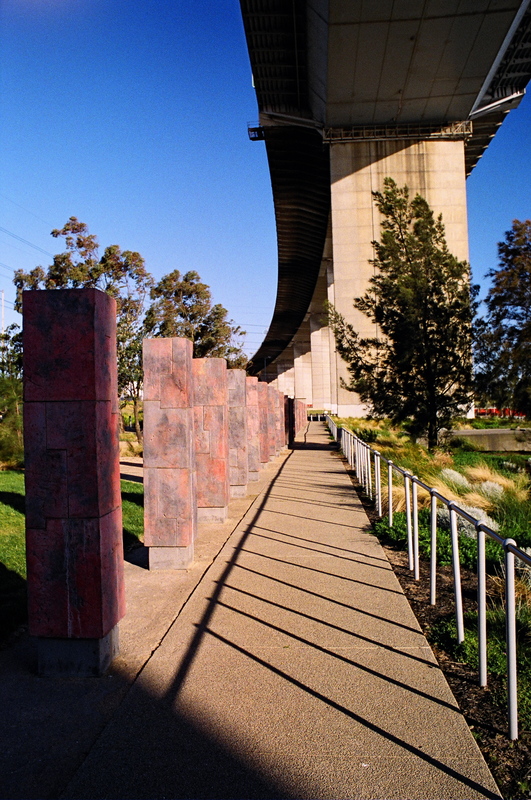 The sculpture was opened by the Minister for Major Projects, Peter Batchelor on October 15 th 2004 at 11 am. The 35th anniversary of the event.